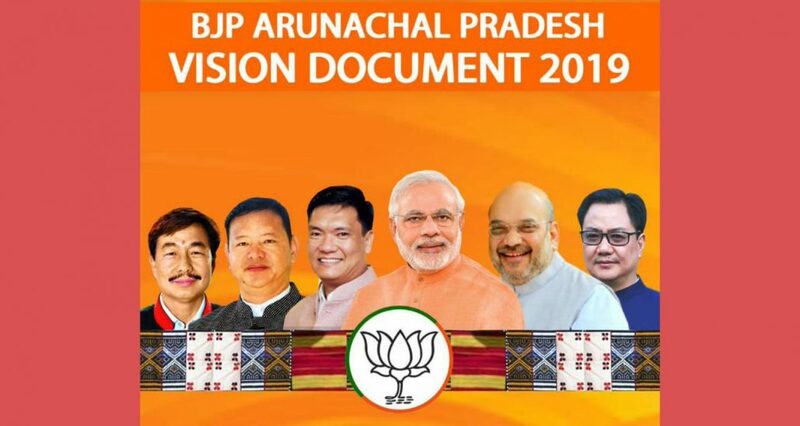 In a rather sudden and dramatic twist just a day after Amit Shah’s rally at Bordumsa in Changlang district of Arunachal Pradesh, Khachnag Maio, the general secretary of Bordumsa-Diyun Mandal committee of the BJP resigned and merged with Somlung Mossang an Independent candidate on Saturday. He along with his brother Kingjaw Maio and several others from Wakhetna Village of Bordumsa circle deserted BJP and joined the rival candidate during a poll campaign held at the premises of Mossang’s residence in Bordumsa. According to Khachang Maio, the brother of Jawra Maio, the BJP candidate of 49 Bordumsa-Diyun Assembly constituency, the biased attitude of the BJP top brass in the State while allotting party tickets had utterly hurt the sentiments of the local people here who were expecting tickets for Mayong Maio, the senior most party worker of the organization who had been serving the party as the state secretary of the BJP for three years. Exhibiting the grudges further amidst the in-house differences and sharp split among the Singpho people, Maio urged the community to join the Mossang camp and lend unconditional support to Somlung Mossang terming his victory as ‘assured’. Mein has been leaving no stone unturned to unite the people of the Singpho community to counter effectively ensuring the victory of the Singpho candidate after bringing in the party ticket assuring the party high command of wining Bordumsa-Diyun seat at any cost. ‘Bordumsa –Diyun is my prestige issue now and I must prove my strength securing the seat in favor of Lotus’, said Mein earlier during a meeting at his residence. Similarly, the general secretary of the Committee for Citizenship rights of Chakma and Hajong, Santosh Chakma, an advocate by profession in New Delhi supporting the cause of Mossang addressed the gathering and said that the committee has ever been instrumental in deciding the fate of the MLA in Bordumsa-Diyun for ages and claimed that with the total support of the Chakmas and Hajongs towards Mossang the winablity of Mossang is but beyond doubt.